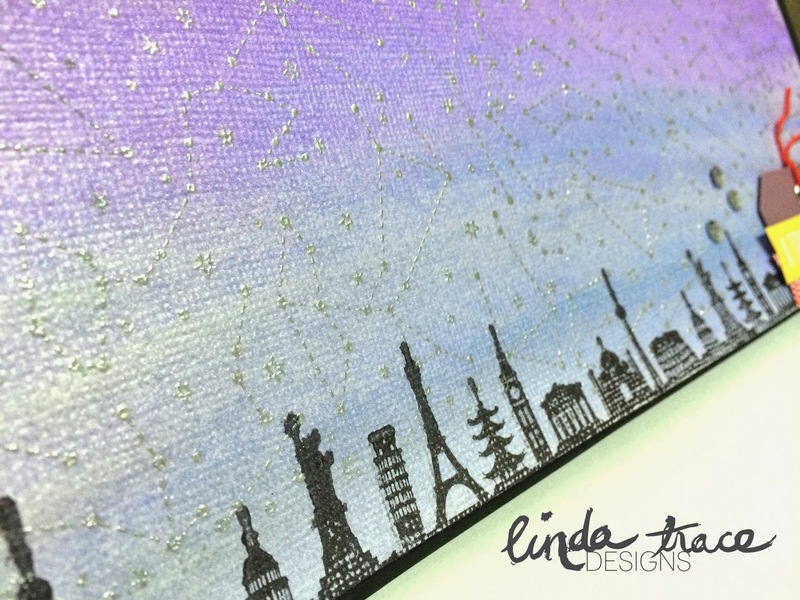 LINDA TRACE DESIGNS: ABNH Challenge time! It's time for a new challenge over at ABNH, so I thought I'd share the layout I made! This month we're collaborating with TWO fabulous companies! First I stamped the Constellation Background from Hero Arts, and embossed it with silver embossing powder, then I added the gelatos background. I used the darkest Blue, purple and silver. I then used a wet paintbrush to blend it out. Next I stamped the International Skyline stamp along the bottom. 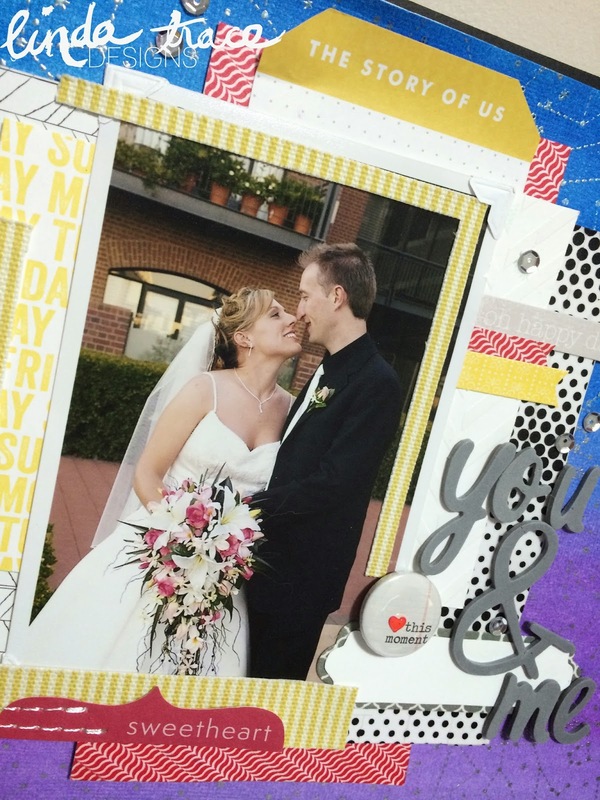 Next I created the photo and paper cluster. The red bracket paper, black polkadot paper are both using washi tape from Finding Nana's shop. (I just put the washi onto white cardstock repeatedly, matching up the patterns, to create patterned paper). I added in some random Project Life cards, as well as a Finding Nana Flair badge. 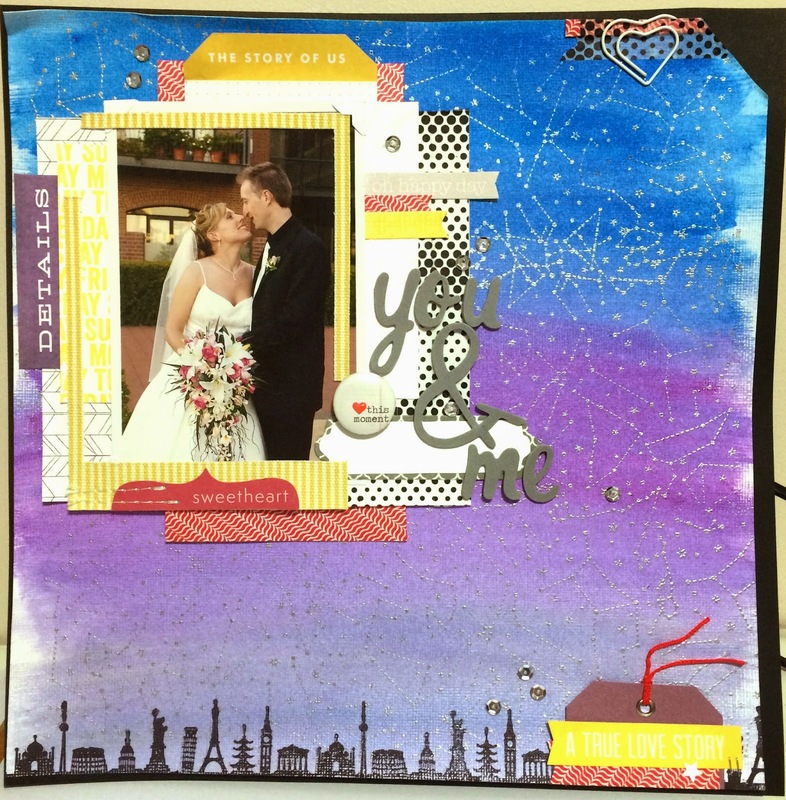 © LINDA TRACE DESIGNS: ABNH Challenge time!